Whootie Owl’s Stories to Grow by: The very best kids short stories and reader’s theater scripts, audio stories, teacher’s resource guides and much more! This blog will share articles about our stories and reader’s theater scripts linked to themes and suggestions for use to leave a lasting impression on your students and children. Our stories are KID-TESTED AND ALL HAVE POSITIVE MESSAGES! 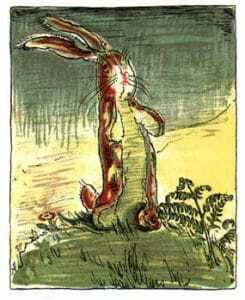 The Velveteen Rabbit Lesson Plan ~ Valentine’s Day No Reviews Posted. The Velveteen Rabbit is a beautiful, classic tale of a child's love for his stuffed animal. A motif, as also seen in the Disney movie "Toy Story", of the old toy thrown aside as new, shiny, toys with buttons and lights are received. The stuffed bunny, Velveteen Rabbit, and the Skin Horse wonder about their life as discarded toys. But Skin Horse assures Velveteen Rabbit, "When soft toys are loved enough, we can become real." This story is a favorite childhood classic and our early reader version can be easily used in the classroom for grades K-3rd. It is perfect for Valentine's Day with the theme of love which is easily accessible to all children. The love for their favorite stuffed toy. In Kindergarten and 1st grade, the lesson could include am oral reading of the story and the children drawing a picture of their favorite stuffed animal coming to life. Meet standards by having students write a descriptive sentence "I love my ____ because_____." For 2nd and 3rd grade, it can be read for Independent Reading or Read Aloud and then include a writing task: Write a paragraph describing your own beloved stuffed animal. Extend the learning by having students be creative and write a short story about how their stuffed animal became real. Or a persuasive story about why their stuffed animal deserves to become real. Happy Valentine's Day and Happy Storytelling! February Unit Lesson Plan Part 1: The Theme of Love & Appreciation No Reviews Posted. 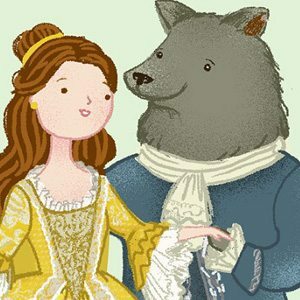 Beauty and the Beast Love Lesson Plan ~ Fairy Tale No Reviews Posted. Folktales of Cooperation For Your K-3 Class ~ Education World No Reviews Posted. 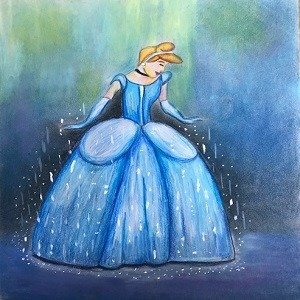 Adjectives and Characters with Cinderella ~ Bedtime Stories for Kids No Reviews Posted. Fairytales Spark Ethics Debate ~ Puss In Boots and Jack and the Beanstalk No Reviews Posted. What better way to spark a spirited classroom debate on ethics than by exploring the complex messages often found in fairytales? Children enjoy a cozy familiarity with fairy tales. By basing a discussion of ethics on fairytales, you are launching from common ground. Children aged eight and older typically are ready for meatier ethical concepts, concepts that skirt into gray areas of lesser evils or relative priorities. Following are a few suggestions drawn from the land of fairytales to get your students’ thought wheels spinning. In the classic French fairytale “Puss in boots,” a clever cat engineers a succession of hoaxes and lies for the benefit of his master. As a result, his master eventually marries the king’s daughter and appoints Puss in Boots prime minister. All parties live happily ever after. The story begins with the introduction of a young man whose poor father has died and left him with nothing but a cat named Puss in Boots. The cat proves tireless in his devotion to his master and begins by delivering a sequence of gifts (rabbits, pheasants, and other game) to the king and queen. Each time, Puss in Boots announces that the gifts are from “the Marquis of Carabas.” Naturally, the king comes to believe the Marquis of Carabas is a person of great consequence. Here, you might ask young readers, “Was Puss in Boots wrong to lie to the king and to deceive him?” The absolute quality of honesty can be leveled against the compelling urges of loyalty and friendship. After several clever tricks, Puss in Boots leads the king and his lovely young daughter to a castle belonging to an ogre. Running ahead of the group, the frisky feline dares the ogre to transform himself into a mouse. When the ogre successfully transforms himself, Puss in Boots promptly pounces on the hapless creature and devours him. That enables his young master, who arrives moments later with the king and his entourage, to claim that the castle is his own. 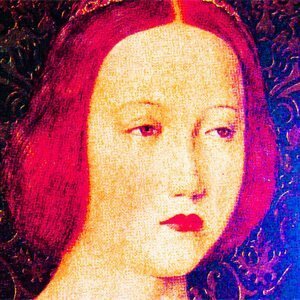 In so doing, the young man clinches his nuptial prospects with the king’s daughter. 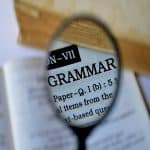 Here, you can further challenge your students: “Was the cat wrong to trick the ogre and then kill him?” Youngsters who argued earlier that the king was in no way damaged by the verbal deceptions and exaggerations of Puss in Boots must reckon with an act leading to an untimely death. Finally, pose this question: “Is trickery ever justified?” Challenge students to support their positions, whatever they may be, with cogent arguments. JACK AND THE BEANSTALK: WHAT IS STEALING? This classic story offers a twist on the theme of honesty. We all know the story of young Jack, whose impoverished mother is left with nothing but the family cow. Jack is sent to market to trade the cow for as much money as he can. Jack is tricked into trading the cow for a handful of beans. In despair, his mother throws the worthless beans out the window. Overnight, a giant beanstalk grows into the sky. When Jack climbs to the top of the beanstalk, he finds the home of a mean giant. Narrowly escaping from the giant with his life, Jack scampers down the beanstalk with two treasures stolen from the giant – a goose that lays golden eggs, and a magic harp. Thus, Jack happily secures the future for himself and his mother. In a 19th-century version of Jack and the Beanstalk, a fairy is introduced when Jack is climbing up the beanstalk. 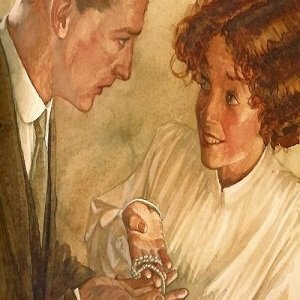 The fairy informs Jack that Jack’s father used to be a wealthy and prosperous landowner but a mean giant killed the father, stole everything his father owned, and reduced Jack’s mother and her infant son to poverty. That giant, according to the fairy, is the one who lives at the top of the beanstalk. By destroying the giant, Jack will restore his family wealth. This version of the fairytale opens another line of questioning: “In the story where the giant had stolen everything from Jack’s father, do you think it was OK for Jack to take it back?” Most youngsters will heartily agree. Follow up with this question: “What if it had been the giant’s father who had stolen everything from Jack’s father; would it still be OK for Jack to take the treasures?” Then ask: “What if it had been the giant’s grandfather who had stolen everything from Jack’s grandfather?” And then ask: “What if it had been 100 years before that the giant’s ancestor had stolen everything? Do you think it would still be OK for Jack to take the treasures?” Try to find the amount of elapsed time necessary, according to students, to justify Jack’s taking the treasures. Challenge them to defend their point of view. There’s a folktale from Tibet, “From the Elephant Pit,” that raises the question of whether compassion is always a good idea. The story tells the tale of a hunter who dug pits to catch and trap wild elephants. One day, he comes to the pit and discovers that trapped inside the elephant pit were a man, a lion, a mouse, a snake, and a falcon. The lion warns the hunter not to rescue the human. Says the lion: “I and the other animals will prove grateful to you and will help you for your kindness to us, so rescue them. But please leave the man in the pit, for I warn you, he will forget your kindness and do you harm.” However, the hunter rescues all the animals and the man. The other animals, indeed, later repay the kindness to the hunter. As the lion had foretold, the man betrays him. At the end of the story, the betrayal of the man is revealed, the hunter is appointed chief hunter to the king, and all ends well. Before you begin a lesson that will lead to a debate about ethical issues, let children know that you are going to read a story and then you will be asking some questions about the story. At the end of the story, allow children time to consider their personal responses to your questions, and ask each child to write down her or his response. Break the class into small groups for discussion. Then hold a general discussion. You might want to list the arguments cited, pro and con, on different sides of your chalkboard or whiteboard. Continue to look for opportunities in stories to raise questions for ethical debate. Your best source material will be stories that children already enjoy, such as fairytales and folk tales. However, modern stories and popular television shows and movies also provide opportunities for ethics duscussions. Here’s a final rule of thumb: If the children enjoy a story, consider it a candidate for an ethics debate! Over time, as long as you keep those discussions alive, the capacity for youngsters to understand the complexities of ethical issues will grow. Elaine L. Lindy is an expert on storytelling for character education. As Founder of Whootie Owl International, Lindy created “Absolutely Whootie: Stories to Grow By,” ( https://www.storiestogrowby.org ) a Web site that presents a selection of fairytales and folktales from around the world with positive messages for kids. Each tale is upbeat, “kid-tested,” nondenominational, footnoted, and free to educators or home users. The Web site has been recognized by USA Today, Highlights for Children, Teachers.net, and The New York Times on the Web. The Power of Storytelling ~ Stories Hold Magic and Values for Children No Reviews Posted. Remember the ending to The Wizard of Oz, when Glenda the good Witch asks Dorothy what she had learned in her journey. Dorothy says, "I suppose I learned that when you wish and wish for your heart's desire but you can't find it, then maybe it's in your own back yard and you ever really lost it to begin with." The ideas that many parents want their children to embrace - ideas such as cooperation, kindness, or honesty - may be the most challenging concepts for parents to get across. In a flicker, youngsters spot a lecture coming and are quick to mentally retreat, leaving behind a black expression that nearly every parent recognizes with a sigh. Fortunately, "in their own back yard," parents already have a strategy that is fully capable of effectively delivering these messages to ready and open ears. I invite you to rediscover a secret weapon that you have always had - and youngsters have always responded to - the Story. In these days of "virtual-this" and "electronic-that," there are those who might relegate storytelling to the dusty realm of a bygone era. Yet storytelling remains strongly rooted in our human cultural experience after all those years. We see it surface in many forms. From advertisers' sales pitches, to speeches delivered by public figures, to the fervent promise of broadcasters for "More on that story after our commercial break..."
Among children, however, storytelling holds even a stronger and deeper magic. Indeed, it appears that children demand stories with the same insistence as they hunger for attention or food! Parents worldwide will attest to the phenomenon that is children and stories. The magical opening, "Once upon a time..." or "Many years ago..." will focus young eyes which, just a moment ago, had been aimlessly darting along the ceiling. Event casual openings such as, "Here's a story I heard today you might like..." or "Did you hear the story about...?" bring dangling and impatient feet to freeze mid-swing. A child engrossed by the travels of an errant fruit fly turns his or her full attention to the teller of the tale. The sense of concentration is palpable. As a Girl Scout leader, I was once transporting a station wagon full of shockingly raucous 6-year-old Brownies. Three times I stopped the car to reprimand the miscreants for fighting, yellow, throwing, hitting. All to no avail. At a loss, I slid in a CD of fairytales. Instantly, the entire carload quieted. The would-be hooligans remained utterly still until the completion of the story, at which point they almost instantly burst into mischief again. The next story began and, once again, a hush replaced the bedlam. Why is the attention of children captivated by stories? For one thing, the pattern of stories (a beginning-middle-end) sets up a structure that children recognize and understand. The end is sure to be satisfying - the triumph of the youngest of three children, the tackling of impossible tasks, the glory of a troubled romance set right. Such popular themes in fairytales demonstrate to children, as Bruno Bettleheim says in his classic study The Uses of Enchantment, "that a struggle against severe difficulties in life is unavoidable" but that if one meets the hardships, one will "master all obstacles and at the end emerge victorious." Indeed, children seem to respond well to any story offering magic or fantasy, perhaps because, being young, they live more closely to the outer worlds of magic and fantasy themselves. When my older daughter was 4½ years old, she had started the morning with a small hole in her pants that by the end of the day was exposing most of her knee. "That hole is getting so big," I warned her, "soon you're going to fall right down into it." "You're joking!" she said with a chuckle, and then looked squarely at me - "right?" As children enter elementary school, their personal sense of time and place sharpens, but the world of magic and storyland beckons at the borders. Contemporary stories from modern life can also capture powerful claims on a child's heart when the story features the child, family members, friends, or other people the child knows. Openings such as, "Did I tell you the story about your wild Grandpa Louis, who threw the whole town into a panic when..." or "I'll never forget what happened when you were just learning to walk and..." also rivet a child's attention because of the personalized nature of the tale. Add to all of the factors the experience of hearing a story - that is, the voice of a storyteller, the impact of direct eye contact, the entertaining quality of hand gestures, facial expressions, ad-libs, and dramatic reactions to events in the story, and it's not surprising that children are mesmerized by stories. The plain fact that stories reliably capture the attention of children creates a unique and significant opportunity for parents. Whereas youngsters often respond reluctantly if not outright rebelliously to direct parental instructions on how to behave, those same children will welcome and absorb the very same ideas when interwoven through a story. As a parent, which scenario do you prefer? To relate instructions to a child whose expression dares, "Whatever-you're-selling-I'm-not-buying-it!" Or to offer those same instructions to a child whose expression says, "Really? Tell me more. Now." While we can agree that stories are a powerful conduit, it's also clear that in and of themselves, stories do not necessarily deliver positive messages. In fact, stories can just as easily deliver negative messages, and often do. Imagine that a story is a form of transportation, a kind of express vehicle. Its contents may be fresh crispy apples, or its contents may be cartons of explosives. The contents that are loaded onto the "storytelling express at the outset of its journey will determine what's received at its destination. As a parent, your role is to load worthwhile messages onto your storytelling express and send it to its destination - the heart of your child. Elaine L. Lindy is the founder of "Whootie Owl's Stories to Grow By", a Massachusetts-based website featuring over 100 fairytales and folktales that convey positive messages to kids, and are multicultural, illustrated by kids, and FREE. The site is a USA Today HotSite, a Highlights for Children Teachernet Site, and is recommended by Disney and The New York Times on the Web. SURVEY! Please let us know how and why you use our website. No Reviews Posted. Please let us know if you use our website for yourself, your child or children, or your students. Do you: Read our stories, listen to our stories, use it to learn English, use it in the classroom, perform our plays? What could we do better? What could we add? New Bedtime Story! A Gift of the Magi ~ A Christmas Story No Reviews Posted. TO READ THE REST OF THIS BEAUTIFUL TALE, CLICK HERE! 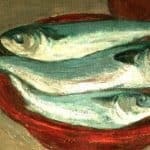 Teaching Kindness with “The Talking Fish” No Reviews Posted.